Despite the rain the umpires were alert. 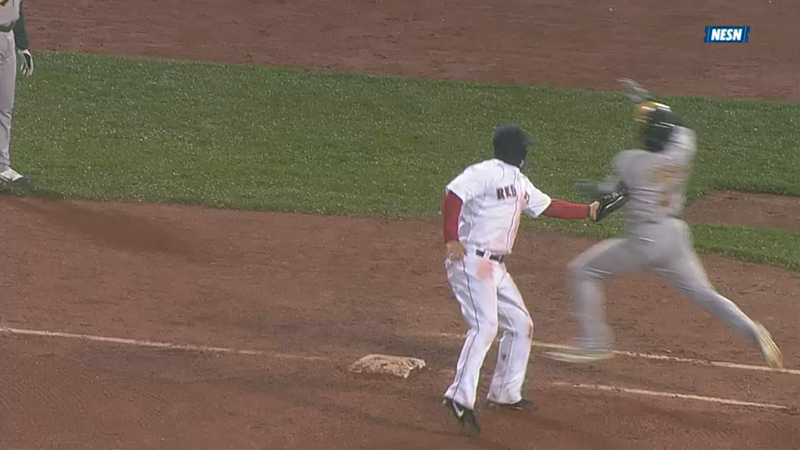 In the fourth Jerry Layne called Coco Crisp safe. Mike Napoli thought he tagged him and Layne, who was stationed at first base checked in with Hunter Wendelstedt, the home plate umpire. Wendelstedt overruled Layne and Crisp was called out. Both managers came out to argue, John Farrell to support Napoli and then Bob Melvin to dispute the overturned ruling. 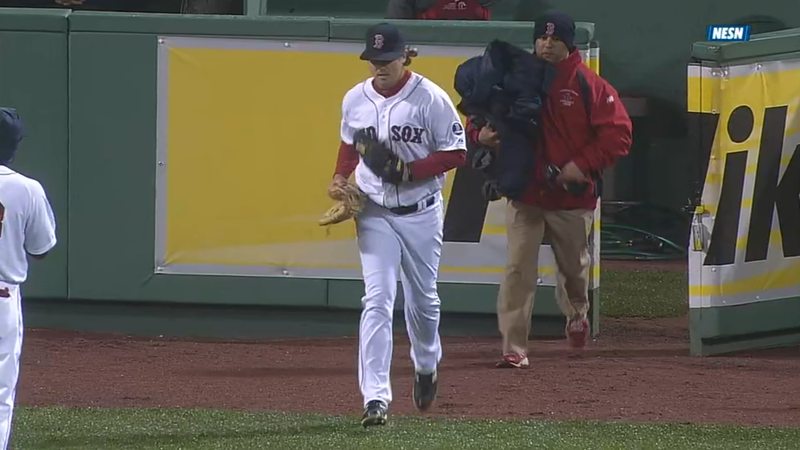 Steven Wright made his major league debut. The phrase “less than ideal circumstances” comes to mind, but even that doesn’t encompass the awful conditions Wright faced. 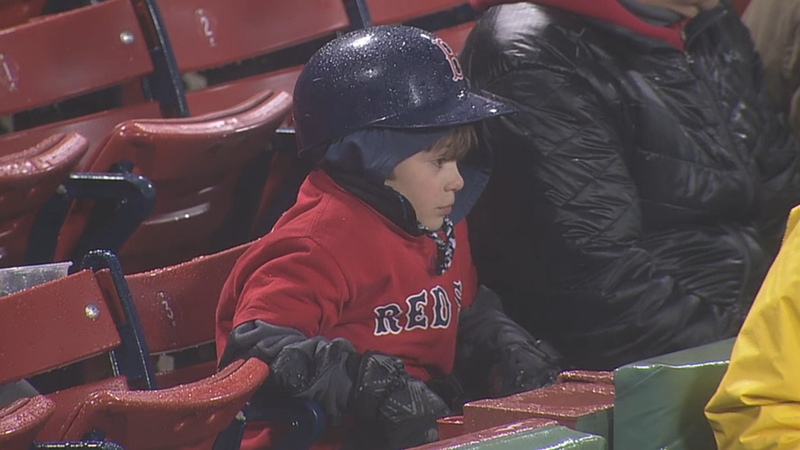 The Red Sox were already eight runs down. The temperature was cold, as were Boston’s bats. Wright had to bring out a first baseman’s mitt (the pancake glove as Jim Rice calls it) and a clubhouse attendent carried his arctic gear. The knuckleballer’s first pitch was a ball to Brandon Moss. But Wright ended the inning by inducing a 4-6-3 double play. 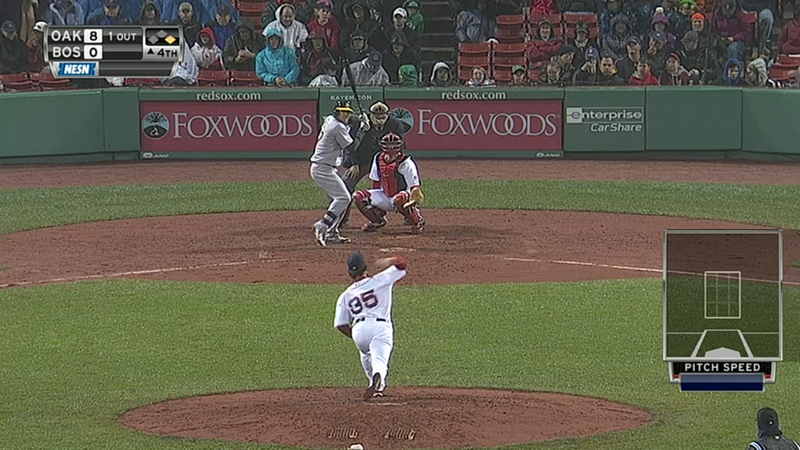 Wright struck out Josh Reddick in the fifth on four pitches. 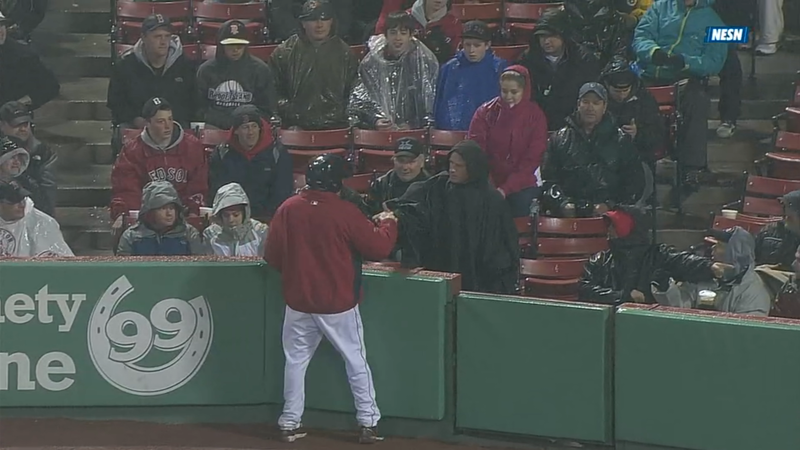 Rain or shine, Major League Baseball authenticators do their duty. This one was on hand to verify Wright’s baseball with a hologram. The manager of the authentication program has a Twitter account but sadly it hasn’t been active lately. 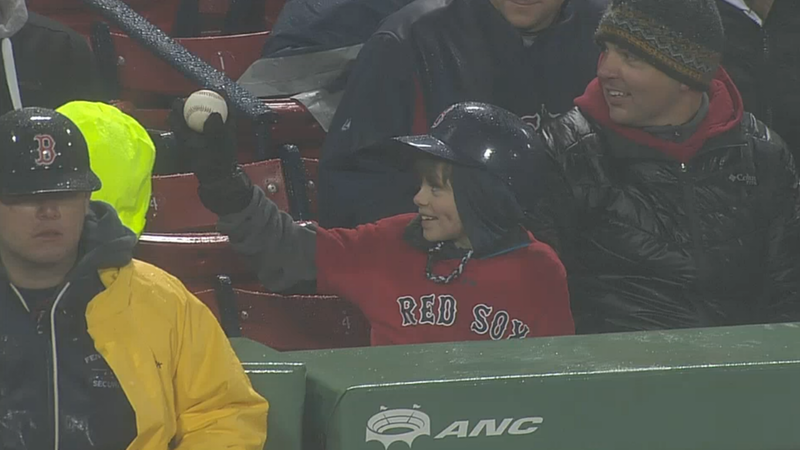 The look on this boy’s face sums up how Red Sox fans felt about this game. It didn’t end happily but we were happy it ended.